Home » Naomi and Liev Hit The Market Before Enjoying A Park Play! 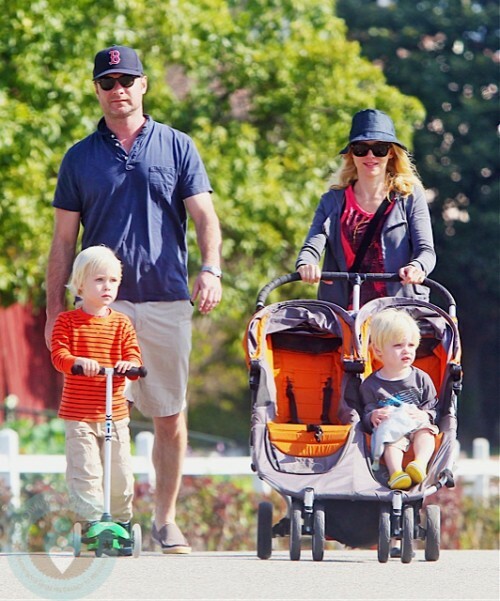 Naomi Watts and Liev Schreiber enjoyed another beautiful California day with their boys Sammy and Sasha! Naomi took time out from filming her latest film, J Edgar, to spend some quality time with her family. The couple started out at the market before heading to the park for a relaxing afternoon. Sasha rides on a mini kick scooter, while Naomi pushes a Baby Jogger City Mini Double stroller. Kendra Hangs Out With Her Guys!